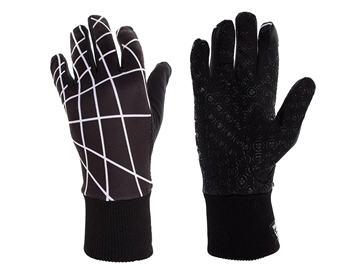 You searched for "blb shield cycling gloves -"
The BLB Shield winter gloves are designed to keep your hands warm and dry during the winter freeze while retaining flexibility and air flow. They are soft to the touch and offer uncompromised protection against all elements. The London gloves offer amazing durability and perfect fit. Made of wind-stopper soft shell and Thermo Micro fleece water repellent advanced fabrics. These gloves are soft to the touch yet warm and protective - shielding you from the winter elements without restricting your movements. Flexible cuffs to ensure easy fit, keep your wrist warm while feature our iconic BLB Shield design. All gloves highlight reflective print for visibility and silicon grip palm for maximum grip and a touch screen finger to use your smart phone without exposing your hands. 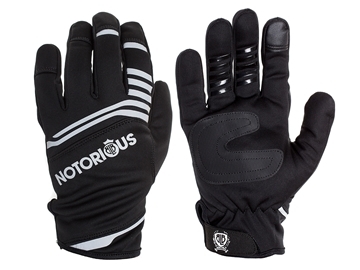 The Notorious gloves offer amazing durability and natural tight fit. Made of wind-stopper soft shell and Thermo Micro fleece water repellent advanced fabrics. These gloves are soft to the touch yet warm and protective - shielding you from the winter elements without restricting your movements. Velcro fastenings give an extra flexibility and security. Featuring our popular BLB Notorious logo in reflective lettering. 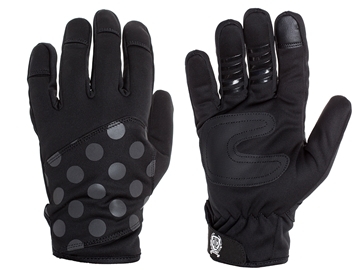 The Polka Dot gloves offer amazing durability and perfect fit. Made of wind-stopper soft shell and Thermo Micro fleece water repellent advanced fabrics. These gloves are soft to the touch yet warm and protective - shielding you from the winter elements without restricting your movements. Velcro fastenings give an extra flexibility and security. Featuring reflective polka dot design for extra visibility. The Web gloves offer amazing durability and perfect fit. Made of Super-light Roubaix and Thermo Micro fleece water repellent advanced fabrics. These gloves are soft to the touch yet warm and protective - shielding you from the winter elements without restricting your movements. Flexible cuffs to ensure easy fit, keep your wrist warm. Featuring a superb grip and hold by using a silicon printed BLB logo on the entire surface of the palm.